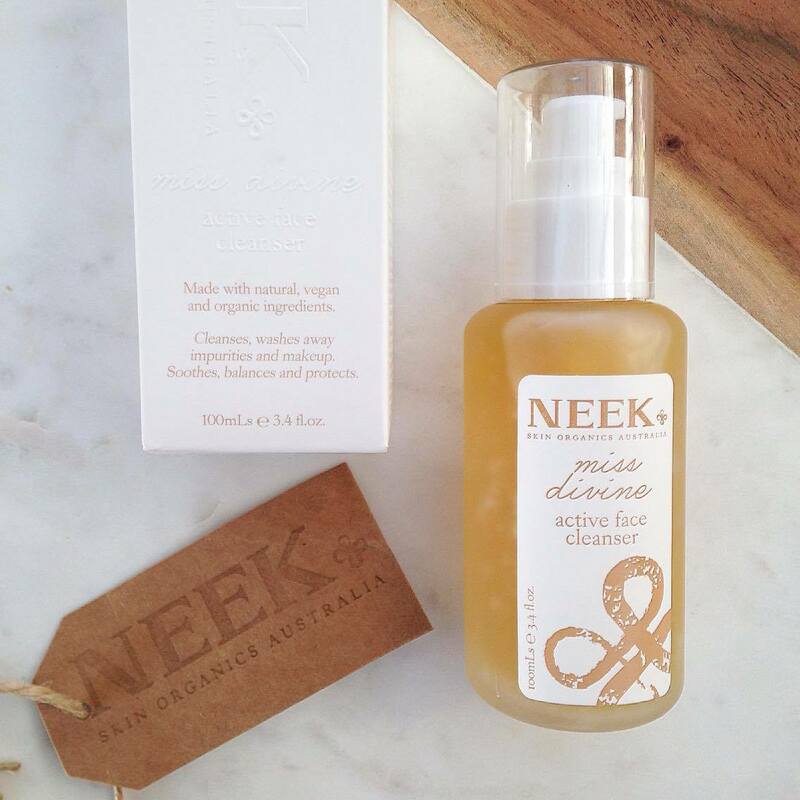 Neek Skin Organics is an up and coming Australian skincare and lipstick brand that has been on my radar lately. I was lucky enough to be sent a full-size facial cleanser to test out and share my thoughts with you. 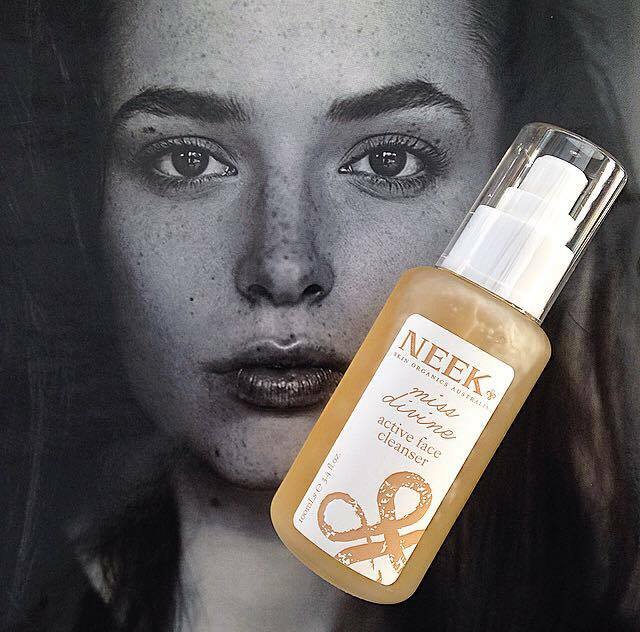 All Neek products are composed of active, natural ingredients, are cruelty-free and vegan. Miss Divine Cleanser utilises a potent mix of Horsetail, Bladderwrack, Sage, Olive Squalene and Australian favourites Kakadu Plum and Macadamia Oil. Combined with several other amazing natural ingredients (more on these below), this mix has created a cleanser designed to reverse the effects of ageing, fight acne, restore skin cells, and cleanse, plump, and detoxify the skin. This cleanser is also vegan; which is a plus in my books! This cleanser contains a wide range of plant extracts that provide great benefits to the skin. Horsetail (the plant variety not four legged) is known for its anti-inflammatory, antibacterial and antioxidant activity. It was added for its healing properties and to fade appearance of fine lines. Bladderwrack is rich in many vitamins including A, C, E and G. Included because it contains fucoidan, which is helpful in reversing the effects of ageing. Sage is a highly antiseptic herb. It was included to disinfect, cleanse and detoxify the skin. Kakadu Plum, an Australian native bushfood and the richest source of natural Vitamin C, has been added to plump skin and restore skin cells. Squalene in our skin decreases as we age, resulting in dehydration and fine lines and wrinkles. Olive Squalane was added because it absorbs quickly and penetrates the cells. This cleanser has a gel type consistency and foams up slightly to leave skin super clean but not stripped. I use 2-3 pumps for my entire face and neck, and apply to damp skin. I find that this cleanser works best to remove makeup if you use an oil cleanser beforehand, or cleanse with this product twice. It has a light citrus and peppermint scent, which is so refreshing in the morning. This cleanser rinses cleanly with zero residue and leaves skin soft and clean, but not dry. This cleanser comes in a 100ml frosted glass pump bottle (most gorgeous packaging ever! ), and will last a fairly long time as you don't need much product to get the job done. I would recommend this for those that enjoy a light cleanser that performs well. I would recommend a gel cleanser like this one, over a foaming cleanser as they are not as drying. You can grab yourself a bottle over on Neek's website for $38AUD. Great post, as soon as I read it was natural I was already interested in trying it. Do you know if they ship to the UK or you can get it in the UK?